If A Cooking Appliance Has Caused Significant Fire Damage To Your Amherst Kitchen Our Experts Can Help! If you need our professional disaster cleanup for your home or commercial space, give us a call today at (413) 324-1300. Thrifting is a budget-friendly way to stock your kitchen with durable appliances, but sometimes those appliances end up not working as well as you might like. A vintage electric waffle iron can end up sparking and catching fire when plugged into an ungrounded kitchen outlet. Worse still, the resulting high heat and fire damage can cause leftover plastic takeout containers to melt in your overhead cabinets. Between cleaning up soot, heat damage, melted plastic, burnt waffle batter, and the foul odor from your now-singed waffle iron, it can be overwhelming to consider where to even start with the cleanup. If your latest thrift shop find ends up causing fire damage in your Amherst home, SERVPRO technicians can ensure that your kitchen is restored to its pre-existing condition. “Like it never even happened.” After our professionals come to your home to assess the extent of damage to your kitchen, we can get right to eliminating the sources of odor from both dry and wet smoke. The first step to eliminating foul odors from fire is to thoroughly clean residues from the fire, whether they be soot, burnt food particles, or melted materials. Our SERVPRO team can also clean the vents in your kitchen with agitating tools such as brushes and augers so soot and other odor-causing materials can be vacuumed up and thrown away. The thoroughness of this cleanup processes both on surfaces and inside cabinets also helps to minimize staining as well as control odors. Deodorizing can be accomplished with a variety of equipment. One method that is favored for effective odor mitigation is thermal fogging, which releases a solvent-based smoke that binds with particles to eliminate odor through chemical reactions. Air scrubbers equipped with HEPA filters can catch particles as small as 0.3 microns that have settled on surfaces in your kitchen. SERVPRO of Hampshire County is available 24/7, so we can be Faster to Any Size Disaster. If you need our professional disaster cleanup for your home or commercial space, give us a call today at (413) 324-1300. Click here for more about Amherst. When your real estate office has water damage, many things can be compromised including potential sales. Contact SERVPRO to remediate the damage. 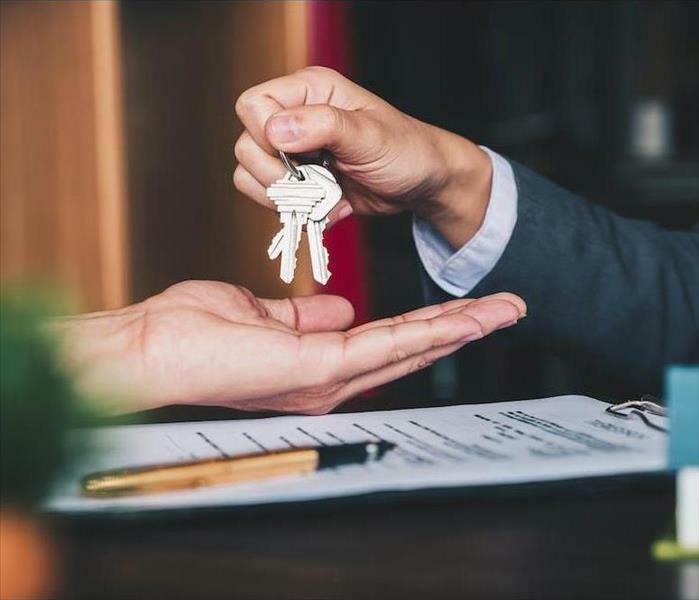 The adage "You never get a second chance to make a good first impression" is very true, especially for a new real estate company just starting. A short time before the open house to announce their opening, a water supply line in the company breakroom broke under a sink and spilled water for hours before it was caught the following day. SERVPRO received the urgent call to clean up commercial water damage in a Northampton realtor office. They had already advertised their grand opening to the public and did not want to delay their open house launch party. Extraction of water is the foundation of drying. Our technicians got to work immediately using wands and weighted extractors to push the water out of the low pile carpeting just outside the breakroom which was only mildly affected. Inside the breakroom, water was still standing and was quickly eliminated by SERVPRO technicians. The drywall behind the water supply line was not significantly affected, and removal was not necessary. As a precaution to ensure air flow could occur during drying, our technicians drilled weep holes in the wall under the sink areas around the line break. After extraction, air movement and controlled warmer temperatures in the affected area initially around 70F to 80F are crucial for proper drying. To ensure faster drying, SERVPRO chose to use desiccant dehumidifiers along with our traditional dehumidifiers to capture maximum humidity the air movers bring to the surface. The desiccant method works by absorbing moisture into a solid substance on a rotating wheel such as zeolites, activated alumina or silica gel (the same material you might find packed in with electronics). The wheel delivers the humid air to a collection port and repeats the process. Through these drying methods and a complete wipe down with our professionally formulated cleaners to make the premises smell fresh and clean, there were no signs of the water loss and the opening was not delayed. SERVPRO of Hampshire County knows commercial water damage can happen any time day or night. Our emergency response teams are available 24/7 and arrive at your location within hours after your call to (413) 324-1300. Click here for more information about the city of Northampton. Did You Know That Your HVAC System Can Cause Water Damage to Your Granby Office? Have your HVAC system checked regularly to ensure that the drain is not plugged. Water which comes from your HVAC system in your Granby doctor’s office can cause severe damage to your system. The water can get into your ductwork, pipes, air conditioner or furnace. Unchecked water can create severe corrosion or short your electrical components. Leaks in your HVAC system cause damage if they are not caught in time, which is why regularly checking it can help you to detect early signs of an issue before there is a more significant problem. Water damage of any kind in your Granby business can disrupt your daily operations, so you want to get it taken care of as soon as possible. At SERVPRO, we understand that time is of the essence, and we have the training and tools to help you restore your building as quickly as possible. Check the drain lines of your HVAC system regularly. Water is a natural component of your air conditioning system. As humid, hot air cools, it creates condensation on the evaporator coil. The condensation drips into the condensate pain, which empties outside through the drain line. The drain line can sometimes become damaged or clogged, causing leaks. When your HVAC system is leaking, SERVPRO techs can find the issue and restore your building. Our primary goal is to preserve and protect your structure and the contents such as equipment. One of the first things we check is carpeting and padding that got soaked from the water. Delamination is possible and something we check for right away. If delamination has occurred, the carpeting is not repairable. If the pad is too damaged, it can be discarded and replaced. Padding can break apart when it becomes wet. However, most padding is not very expensive, and the cost of removing and replacing it is many times less than the added costs of drying it in place. Some HVAC systems utilize a condensate pump to help drain off any condensation that may be created by the system. The collected water collects into a reservoir, and after filling to a particular point, the pump switches on and pushes the water through a drain line. If there is a clog, again, you may be dealing with a leak. SERVPRO of Hampshire County can help you restore your business building in Amherst, Ware, or Hadley anytime you need us. 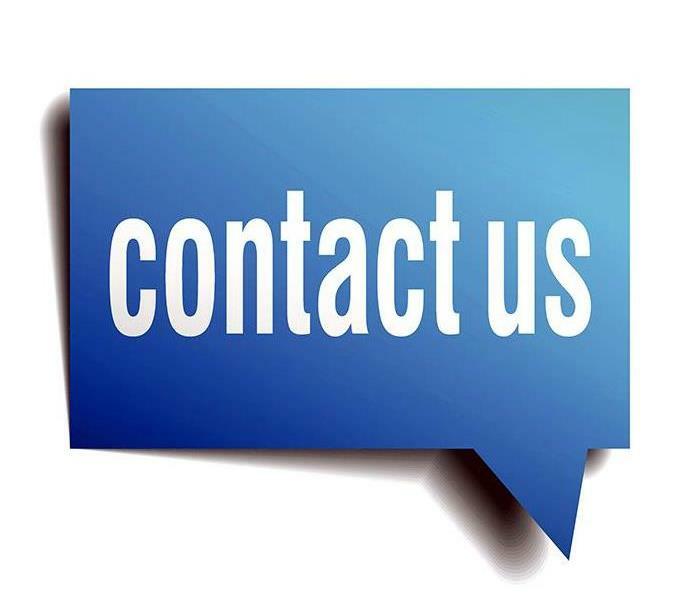 Reach us by dialing (413) 324-1300, so please do not hesitate to reach out to us as soon as you notice an issue. Granby was incorporated in 1768. Read more here. At SERVPRO of Hampshire County, our goal is to help every homeowner return their residence to a safe condition for occupation. The Granby community’s location near state parks and two major highways make it ideal for travel and business. That location also makes us vulnerable to flooding from nearby rivers and swamps, however. No matter how high or low the water reached, Granby flood damage needs removal and restoration as quickly as possible. SERVPRO restoration teams train extensively with the latest equipment to handle every type of water intrusion and its effects. 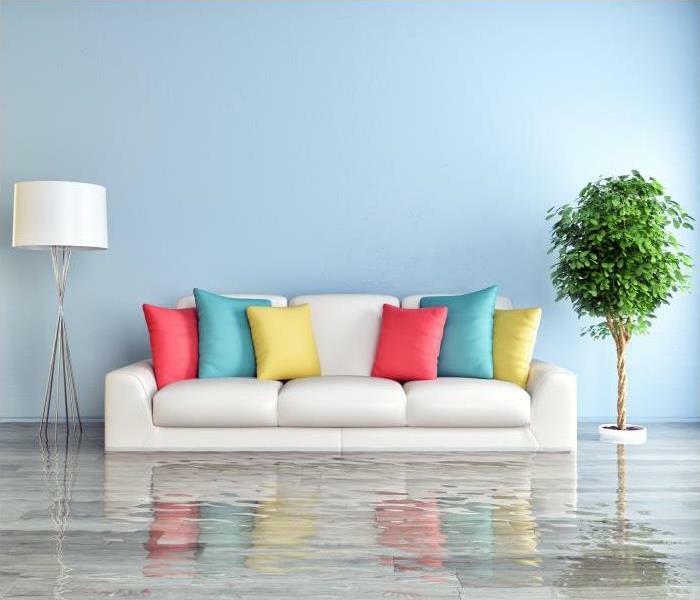 The beautiful wood floors in so many of our homes are extremely vulnerable to flooding. They are underwater almost immediately and remain so until removal of all surface flooding and thoroughly drying the floorboards. Removing the majority of the water with one of the pumps in our inventory is relatively simple. It is drawing off the rest that often proves difficult. SERVPRO technicians have to balance removing the water quickly against causing additional damage to the wood surface. Drying out too quickly can crack and splinter or even warp the individual boards until they lift away from the subflooring and twist away from each other. To keep this from happening, response team members use extraction wands with a built-in heating device to apply a low heat while removing moisture between the floorboards. If they note swelling, then technicians carefully puncture the stain or varnish to increase the rate of evaporation. If needed, they also set up a dehumidifier to draw moisture from the surrounding air. The drier air also increases the evaporation rate without harming wood floors. Finally, technicians examine the sub-flooring for floodwater. If any water did seep in, they remove it with an extraction wand. To remove excess humidity, they use an air mover with a hose to force warm, dry air into the crawlspace which forces out the damp air to preserve the sub-floor framework and underside of the floorboards. At SERVPRO of Hampshire County, our goal is to help every homeowner return their residence to a safe condition for occupation. We're here to help you. Call (413) 324-1300 to get started. Click here for more about Granby. When you are faced with water in your home, your best defense is to call the technicians at SERVPRO to assess the damage and start remediation. No matter the cause, things can get hectic when a water damage disaster in Amherst strikes your home. You are suddenly faced with cleaning up a big mess, which can be very daunting. When you are thinking about all the cleanup to be done, you usually are only thinking about how much work it is going to be, and not how difficult it is. There are several reasons why hiring an expert for your water removal emergency is the best decision. Water emergency stressors can hit you hard. Life in your Amherst home does not stop, and your daily responsibilities keep going, but now you are faced with the enormous task of water removal. It is why you need to trust our experts at SERVPRO to handle everything for you. You can go on dealing with your everyday life while we clean up the mess and repair your home. Remember, the process of getting water out of your home and cleaning up is much more complicated than you might realize. Therefore, if it is not done correctly, the water damage can be greater, and the potential for a total restoration can be compromised. It is best to let our technicians handle it instead, as we have the proper training and equipment to do the job right. The key to properly drying your home and its contents are to start immediately. Our professional staff uses the best drying equipment and arrives at your residence quickly to limit the damage done. By starting as soon as possible, the structure of your home and your belongings have the best chance of recovering. After we get rid of all the water, the danger is not always gone completely. Moisture in the air and hidden spots in your home can create further havoc. Our experts have the tools such as moisture meters to find this hidden moisture and rid your home of it. We can also detect, remove and prevent dangerous mold which can cause health effects. SERVPRO of Hampshire County offers 24-hour water removal and damage repair in the areas of Easthampton, Northampton, and Granby. So, don’t hesitate to call us anytime by dialing (413) 589-8975 so we can help restore your home back to normal. We are the professional fire damage experts you know and trust. 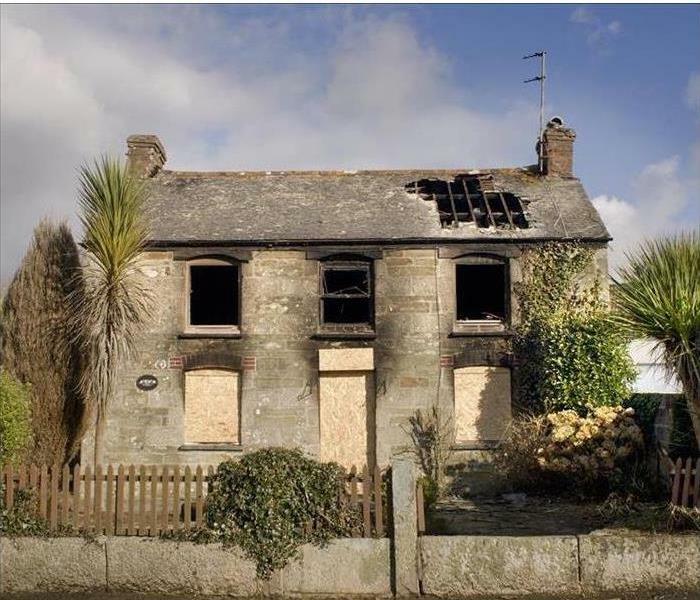 We will restore your home back to pre loss condition. There different types of fires that can cause fire damage to Granby properties. The specific type of fire depends on the nature of fuel that is burning. Separating fires this way makes it easier to choose the best firefighting method. Some fire extinguishers, for instance, are more effective on certain types of fires than others. Keeping this in mind can go a long way towards controlling the extent of fire damage to your house and its contents. If you are faced with a fire damage situation in Granby, you can bet on SERVPRO to restore your property. We have a long history in the restoration industry, and our competent technicians are certified by the IICRC to deliver industry-standard services. Using advanced products, tools, and equipment, coupled with a rich experience of dealing with clients from all over the country, we can return your home to pre loss conditions as quickly and efficiently as possible. Ignition is considered the first step of the process of combustion that ultimately leads to fire damage. If the source of fire is an external ignition, it may occur as forced or piloted ignition. If it is the result of reactions happening in the actual combustible material plus the resulting heat release, it may occur as self or auto-ignition. The impulse to ignition significantly relies on the ignition temperature (the lowest temperature at which ignition can occur upon heating a material). SERVPRO professionals can help determine this parameter using special test methods, making it easier to distinguish between the auto and piloted ignition temperature causing the fire damage. Different materials have different ignition mechanisms, depending on whether they are solids, gases, or liquids. Most solid materials derive energy from outer ignition sources through radiation, convection, or conduction (sometimes by a combination) or by heating up as a result of heat-producing processes occurring that trigger decomposition internally on the surfaces. Liquids require the formation of a vapor space above them that is capable of burning, for ignition to occur. The air in this space mixes with the gaseous decomposition products and vapors being released, subsequently causing a flame. When a fire occurs, the damage to your property can continue long after extinguishing the flames. If you act fast, SERVPRO of Hampshire County can help combat the fire damage before it leads to permanent losses. Call us anytime at (413) 324-1300. For more information regarding the town of Granby, click here. If you see or smell mold in your home, it is time to contact SERVPRO to investigate, determine the cause and remediate the damage. Mold spores are in every home in Easthampton. No amount of regular household cleaning removes them, and that is perfectly normal. Spores only become active when there is enough moisture to allow for expansion, and they only grow when there is enough food and a temperature between 68 and 86 degrees. Mold damage threatens Easthampton homes only when those three factors happen together in the same place. By the time most homeowners find mold or suspect there may be a problem, the colony has grown quite a bit, and a professional company like SERVPRO is needed to remove the threat. We start by containing the spread. The immediate goal is to prevent the mold moving into unaffected or clean areas of the home. Our first action is to seal off the air ducts. It prevents accidentally spreading airborne spores to other rooms, and if there is mold in the ducts, this keeps it isolated until we can clean them. The second action is to seal off the affected areas with plastic sheeting over windows, entryways, and doors. Next, we remove the active mold and spores. The goal at this point is to clean mold from both personal and structural property in the affected area if at all possible. SERVPRO technicians wipe down every surface with cloths or sponges and use vacuums with HEPA filters to trap and prevent spores from spreading outside the sealed area. Since our cleaning actions have stirred up the mold spores on surfaces and in the air, the next task is to wait for them to settle. When enough time has elapsed, technicians wipe down every surface again using dry cloths and sponges. We repeat this step until our air content meters test out at normal levels of dormant spores. Our last task is to lower the humidity and dry the property inside the affected areas. 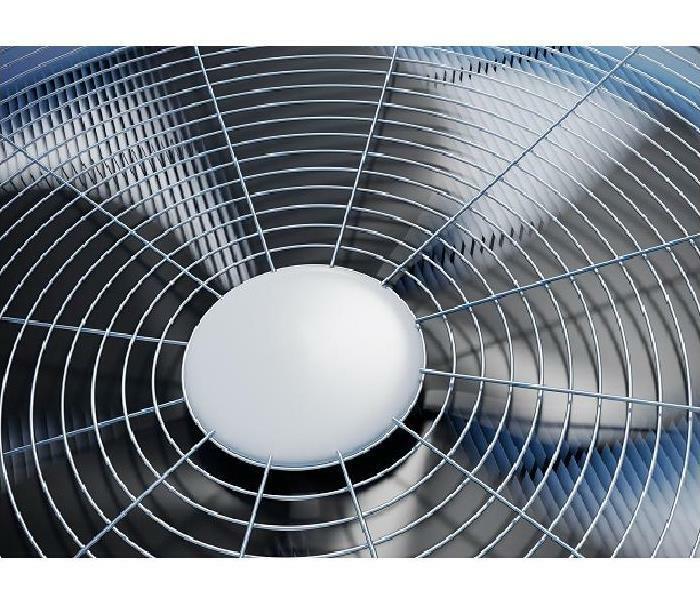 Technicians accomplish this with dehumidifiers to draw moisture from the air, and smaller devices called air movers which blow warm, dry air across damp surfaces. By removing the excess moisture in these areas, we lower the risk of the spores becoming active and growing a new colony. Every action we take is designed to return residents to a safe, clean home. For SERVPRO of Hampshire County, this is never just a job. It is how we take care of our neighbors. If you need our services or have a question on how we can help; call us at (413) 324-1300 today. If you ever suffer from ruined building materials after severe weather, call SERVPRO of Hampshire County at (413) 324-1300 24 hours a day. During a violent storm in Amherst wind is a condition that can cause a disaster to take place. If the winds get to a high enough speed, problems could occur that force you to call in a certified commercial flood damage restoration company such as SERVPRO. Many storms that blow into town can bring with them swirling winds that have gusts or maximum speeds that can be dangerous and cause issues on your property. We have all seen on TV what winds that get close to 100 miles per hour can do, and the results are usually not pleasurable. Any time the area starts to get windy, there is a good chance that the breeze will cause your restaurant extensive commercial flood damage. The presence of wind can be dangerous to humans, animals, and buildings. 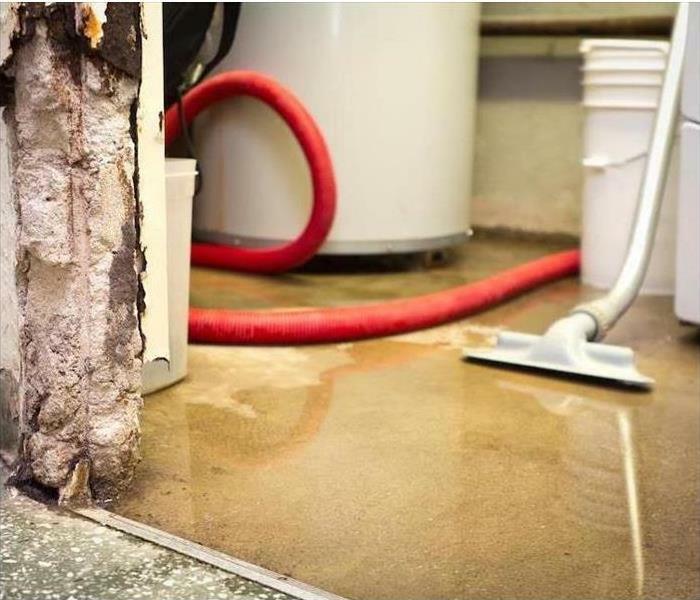 Any damage caused by severe weather is usually best treated by professional commercial flood damage technicians in Amherst like our team SERVPRO. Any time wind speeds get high, things attached to your restaurant building can blow off from being attached and cause other damage. Things like signs or outdoor decor items outside your restaurant can get blown away from where they were attached and damage your building. Even if these items don't damage your building, losing things on your property or attached to your building can cost your business and your insurance company money. We know that whenever a storm ruins materials at your place of business that it is important to get things repaired quickly so that your business can continue operating as normal as soon as possible. One thing property damage to your restaurant's building can cause your company is a loss of revenue if your diner cannot keep operating as usual. Losing customers due to loss of functionality can get costly. Whenever we arrive at your cafe after the storm takes its toll on your company's structure, we figure out how we can fix the problems without forcing you to close down or lose any customers what so ever. If you ever suffer from ruined building materials after severe weather, call SERVPRO of Hampshire County at (413) 324-1300 24 hours a day. 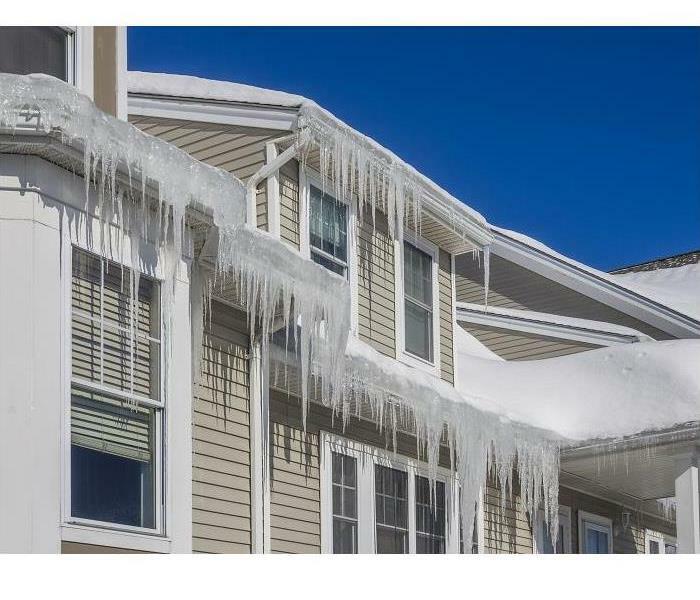 Is there an ice dam forming in your home? You probably look up at the stars, but seldom consider looking up when you're at home. Most homeowners do not think about overhead spaces in their Amherst homes. An attic is a convenient storage place for old furniture, but seldom a source for concern. The attic above your head can suffer accidental winter water damages when an ice dam causes leakage in your crawlspace. If that happens, it's important to act quickly to mitigate the damages. SERVPRO is available 24 hours a day so that you can reach us right away. That's why we're Faster to Any Size Disaster. Winter water removal can be tricky in Amherst, and our IICRC certified technicians can handle it so you can get back to your life quickly. There are four keys to getting your home dry quickly, and we can address them all. The amount of water you need to have removed effects how long it takes. SERVPRO Professionals take the time to extract as much water as possible. Doing so is 1200 times more efficient than dehumidifiers alone. Temperature affects how rapidly your space dries. We bring in specialized equipment and heaters for unheated attics to speed up the process. Humidity is the next challenge. The best way to remove the remaining water is to evaporate it and then use dehumidifiers. Air movement is the last crucial factor. A humidifier can only remove water from air that reaches it. We use the proper ratio of humidifiers to air movers so that you can get back to enjoying your space sooner. These are not the only concerns when you need water removal and damage mitigation in your attic. SERVPRO Professionals can arrange to move your belongings to a dry area. Water damage raises humidity, and that means smells are transmitted easily. We have technicians that specialize in deodorizing and even upholstery cleaning. We take care of everything so you can feel “Like it never even happened." When accidental winter water damages have you looking up answers, there's no need to stress. Call SERVPRO of Hampshire County at (413) 324-1300 24 hours a day 365 days a year. Read about the history of Amhurst here. 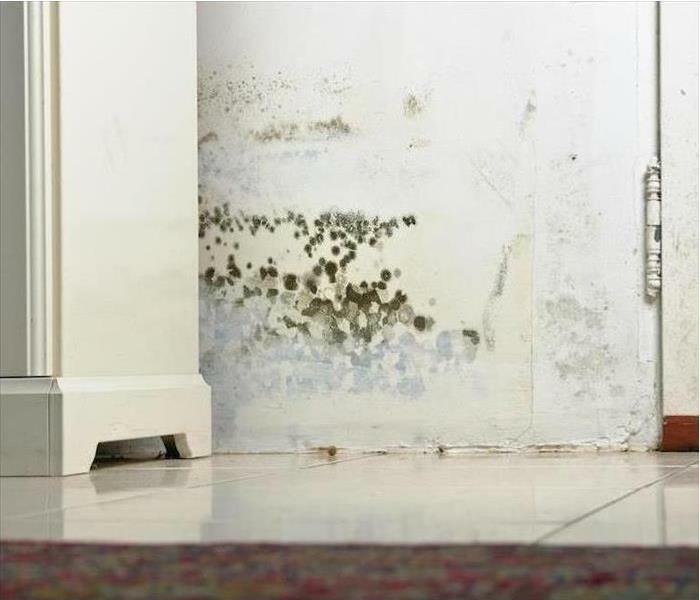 Did You Know Increasing the Humidity in Your Home can Lead to Mold Damage? Our SERVPRO of Hampshire County team is here to make your mold infestation "Like it never even happened." While the air becomes much drier over the colder months of winter in Granby, elevating the moisture levels too much can cause problems. Slight amounts of water vapor increased through the use of vaporizers can help people breathe more comfortably, especially during the night. However, repeated use of boiling water to achieve the same purpose, especially if continued daily, can backfire. We want to caution the residents in Granby about having too much moisture in the home, as this can cause microbes to proliferate and cause damage. Such mold damage can happen anywhere inside your Granby residence. While we can remediate this problem anyplace it occurs, we also know that preventing microbial infestations costs less than home restoration costs. Keeping temperatures cooler in your home and using layers of clothing while awake and extra blankets during the night keep the air from becoming overly dry feeling, and thus reduces the need to add moisture to the air. Doing these things can also reduce your heating costs, and add up over the winter. Using the oven can also keep your home warmer, at least near the kitchen, without adding too much moisture to the air. While some moisture does escape the oven and enters the air, it is considerably less than boiling water to cook produces from the stove. Another area of the home that regularly produces steam is the bathroom. Showering daily may seem like a good way to get some humidity into the air, but instead, this allows mold damage to escalate. Running the exhaust fan during the shower and for a few minutes afterward ensures that all of the moisture gets released outside. This is especially important because the bathroom is one of the most prone areas in your home for developing mold damage. SERVPRO of Hampshire County is always ready to help remediate mold damage when you have a problem in your home in Hadley, Ware, or Belchertown. Contact us by calling (413) 324-1300, and we can have your home free of excess mold, “Like it never even happened.” as well as provide you with additional ways you can prevent mold growth. For more on Granby, click here. 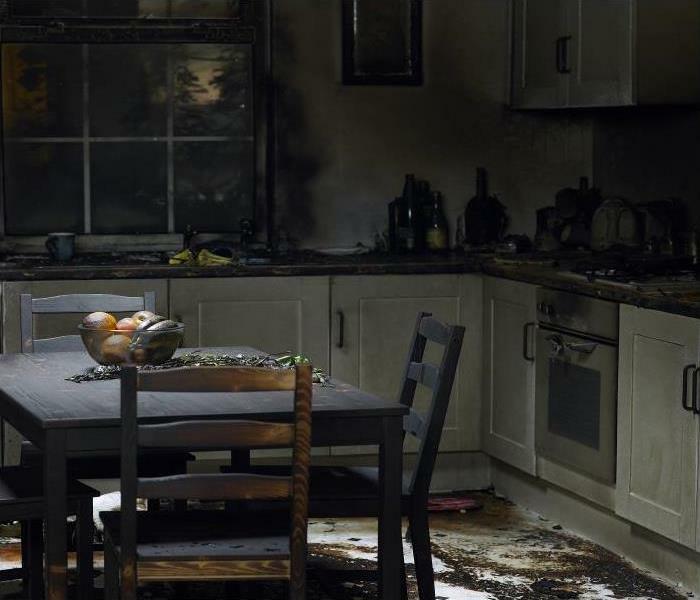 4/23/2019 - If A Cooking Appliance Has Caused Significant Fire Damage To Your Amherst Kitchen Our Experts Can Help! 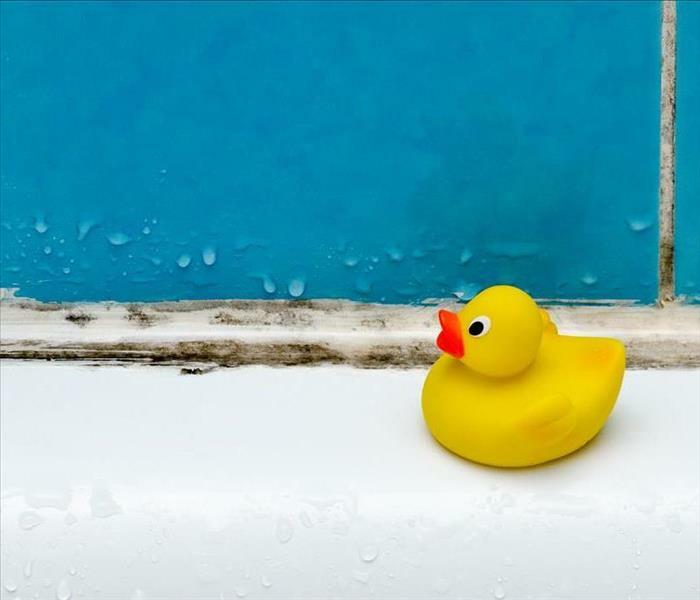 4/1/2019 - Did You Know That Your HVAC System Can Cause Water Damage to Your Granby Office? 3/4/2019 - Did You Know Increasing the Humidity in Your Home can Lead to Mold Damage?